I picked up these two huge bags of completely random LEDs the other day off eBay. One bag I got for a penny and the other went up to 1.25 before I won it. 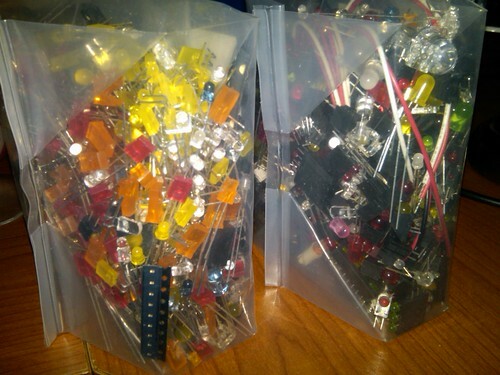 There are so many different kinds of LEDs in these two bags that it's mind-blowing. I don't have a clue yet what I'll do with them, but it's gonna be fun just opening them up and getting them all organized into type, size, etc. I'll post in a few weeks when I actually do something with them. Sorry...apparently Facebook dynamically changes the actual direct URL to your pics.